India moved a step closer to rolling out the much talked about Goods and Services Tax (GST) regime when Parliament passed the 122nd Constitution Amendment Bill earlier this month. “GST is an important move to free the nation from tax terrorism. This can’t be seen as a victory of a party or a government, it is a win for the democratic ethos of India and a victory for everyone,” Prime Minister Narendra Modi told lawmakers as he hailed them for supporting the key legislation in the national interest. The bill which was passed first by the Rajya sabha also called the Upper House, where the National Democratic Alliance lacks a majority, after the government agreed to some of the key changes suggested by opposition lawmakers. The sagacious move united most parties behind this landmark legislation which aims to turn India into one common market, scrapping a host of taxes – excise, sales tax, VAT, octroi and entry fees, and replacing it with a single tax the GST. The amendments to the GST Constitutional Amendment Bill scrapped an earlier decided upon 1 percent inter-state levy, provided for compulsory 5-year compensation to states for revenue losses from bringing in GST, besides providing for a dispute redressal mechanism to be set up by the GST Council. The set of changes brought in by the Government to an earlier bill, proposed among others to delete Clause 18 of the original bill that intended to compensate the manufacturing states with one per cent additional duty for a period of two years or more for revenue losses. It also made changes in Clause 19 of the Act dealing with compensation to states and now says that states will be compensated for a period of five years or more towards the losses they may suffer due to a shift to the new regime. To give it a greater specificity, the amendment now says Parliament by law “shall” compensate states, as opposed to the earlier choice of the word “may”. The Finance Minister Arun Jaitley who piloted the bill also amended Clause 12, which dealt with dispute resolution between and among the Centre and states. “The Goods and Services Tax Council shall establish a mechanism to adjudicate any dispute. a) Between the government of india and one or more states, or b) between the Government of india and any state or states on one side and one or more states on the other side; or c) between two or more states, arising out of the recommendations of the council or implementation thereof. The Congress and several other opposition parties had demanded a standing appellate authority headed by a serving or retired Supreme Court Judge to adjudicate on such cases. The bill seems to concede as much without spelling out the terms of the authority. “We have left the terms and conditions to be decided by the GST Council, where the centre and states are both represented,” pointed out officials. The amendment also clarifies that state’s share of GST tax will not form part of the Consolidated Fund of India. “The amount apportioned to a state shall not form part of the Consolidated Fund of India ...”, the amendment said. GST itself has been in the works for more than a decade now and had been held hostage for long due to apprehension of states as well as bickering over its terms and specific wording between parties. However, the interesting point is that almost all parties as well as Indian business and intelligentsia were united in the need for the taxation measure. The move is expected to reduce black money flow as the tax measure will capture trade and industry better, eliminate roadblocks at border crossing by abolishing octroi and reduce double taxation, making the economy more efficient. The action on the GST front will now shift to the states as the central government will now have to seek to get the bill ratified by a majority of the 29 Indian states within the next one month to stay on course for its 1 April 2017 deadline on implementing the seminal tax reform. After this the President will then sign a notification to say that the constitution has changed. Once that happens, the Union Cabinet will have to approve the establishment of a GST Council–the key decision-making body on the new tax—which will be headed by Finance Minister Arun Jaitley and have state finance ministers as members. The government will have to train some 60,000 tax officials by end of the year on the new tax structure. After all this the actual GST bill which sets out the tax rates and how the tax will be completed will be brought in , possibly in the winter session of parliament. 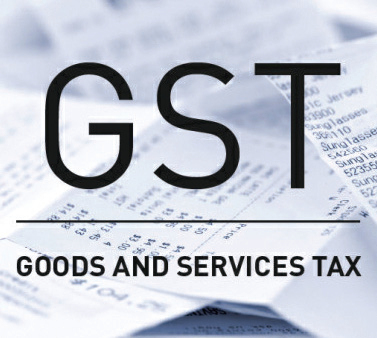 The Government’s aim is to bring in the GST tax by April 1, 2017. The tax will be imposed on both goods and services and will be vatable. i.e at each stage of manufacturing or selling taxes paid earlier can be set off against taxes to be paid at that point of manufacture or sale. Keeping in mind the federal structure of India, there will be two components of GST – Central GST (CGST) and State GST (SGST). Both Centre and States will simultaneously levy GST across the value chain. Tax will be levied on every supply of goods and services. Centre would levy and collect Central Goods and Services Tax (CGST), and States would levy and collect the State Goods and Services Tax (SGST) on all transactions within a State. The input tax credit of CGST would be available for discharging the CGST liability on the output at each stage. Similarly, the credit of SGST paid on inputs would be allowed for paying the SGST on output. No cross utilization of credit would be permitted. Thus the GST tax will be a dual tax. For example if the tax on a product is 20 percent. 10 percent will be payable to state as its GST and 10 percent to centre as its share of the tax. Out of the central GST, the central government will also have to share some part of the revenue according to the centre state devolution formula to be decided by the finance commission. To explain the nature of its vatability, an example will suffice. Let us take the example of a mobile phone maker “ A” . “A” buys chips from “B” for Rs 500, on which he pays GST at the rate of 10 percent or Rs 50/-. The mobile phone maker also buys the services of a software firm for Rs 300/- in designing the mobile phone and pays a tax of 15 percent or Rs 45/-. A finally sells the phone for Rs 1200 to a wholeseller. While selling it, A has to pay a tax of 20 percent of Rs 240, making the final price of the phone Rs 1440 for a mobile phone. However, the firm gets a tax set off for the Rs 95 already paid as tax. So net tax which A has to pay is Rs 240-95 = Rs 145. In case the tax was not vatable the final price would have been higher by Rs 95. 1. The first will be a zero duty rate on essential goods such as life saving drugs and essential foods. 2. A lower rate of say 10-14 percent for goods, which are of a mass consumption nature. 3. A standard rate of say 18-22 percent at which most Goods will be taxed. 4. A higher rate for those goods, which are considered a luxury. Finance Minister Arun Jaitley told newspersons that an "unreasonable" cap would increase the revenue deficit and as Finance Minister, he could not afford to do so. "There is a difference between being responsible at present and being responsible in past. A present Finance Minister cannot say that you collect less revenue but increase your spending," Jaitley quipped. The Government’s other big challenge will be to get the GST rolled-out by the deadline date of April 1, 2017. "The GST roll-out deadline is certainly stiff. ... "But we will try to be reasonably quick and hope to meet the target," Jaitley told news reporters. He said this after a presentation by Revenue Secretary Hasmukh Adhia made before the media, explaining the roadmap to implement the GST, while also spelling out the target date for its launch. Mr. Adhia listed seven challenges in rolling out GST These challenges include: calculation of revenue base of Centre and states and compensation requirements, structure of GST rates, list of exemptions, forming of consensus on Model GST Bill, threshold limits, compounding limits and cross empowerment to mitigate ill-effects of dual control. Finance Minister Arun Jaitley said that by the Winter Session of Parliament, North Block would get all bills connected with the GST roll-out passed, adding: "By December 2016, all the back-end and front-end IT systems required for GST are also expected to be ready, followed by testing."